Looking for a wonderful spring activity? Here is an opportunity that will bring joy and satisfaction for everyone. The Bluebird Recovery Program of MN (BBRP) invites you to attend our 40th annual EXPO. Learn to be successful in attracting bluebirds to your yard and trail. The date is Saturday April 6 at the Cannon Falls High School, 820 East Minnesota Street Hwy 19, Cannon Falls MN. The program features speakers presenting: How to increase bluebird fledging. Lyme disease. Bluebird monitoring made simple. In addition, all-time favorites, Jim Gilbert, “WCCO Nature Notes,” and Al Batt, Southern Minnesota naturalist/writer/humorist/storyteller, return. Learn how to help the environment and improve your bluebird trail. Get detailed information on registration at www.bbrp.org. When I was a boy, every hawk was called a chicken hawk. 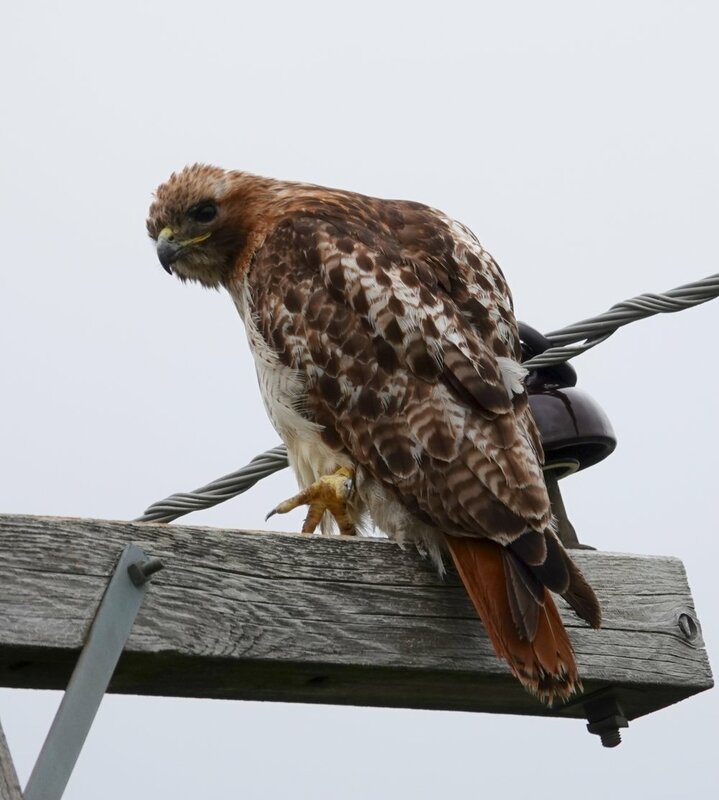 This red-tailed hawk has never bothered any of my chickens. Of course, it helps that I no longer have any chickens. Soon, spring will bring us gold in the feathers of the American goldfinch. 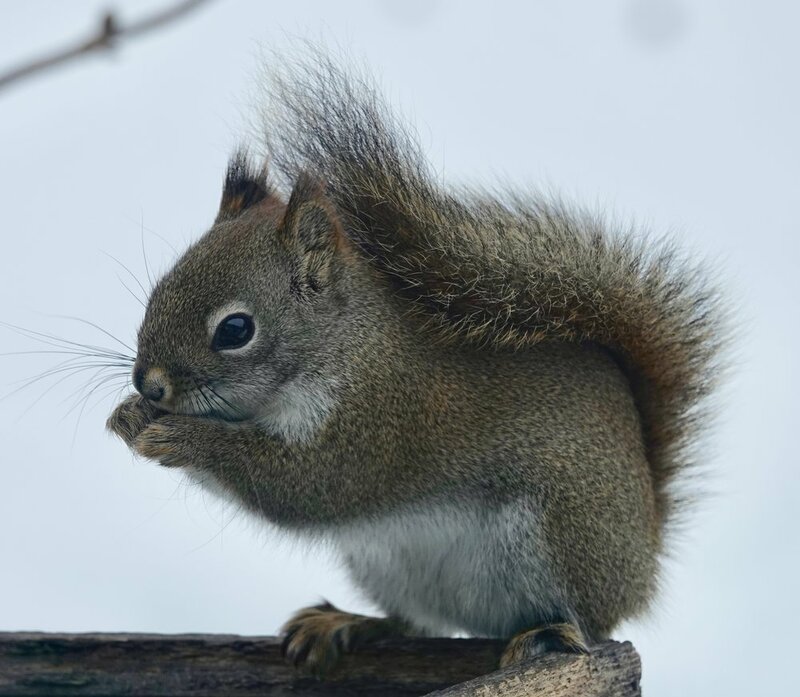 A red squirrel uses a snow umbrella.